APH Plumbing & Heating are now a Which? Trusted trader. The Which? Trusted Trader logo is a sign of reputation and trust. It is an endorsement scheme where reputable traders are recognised for successfully passing an assessment process carried out by trading standards proffesionals. Credit report – To validate the financial health of the business. Customer satisfaction – The Which? team will get references from a selection of prvious customers. Business procedures – Thorough examination of business and administrative procedures to ensure that the consumer interests are in mind. Interview & assessment – Face to face visit and interview to fully understand all aspects of how the business is run. 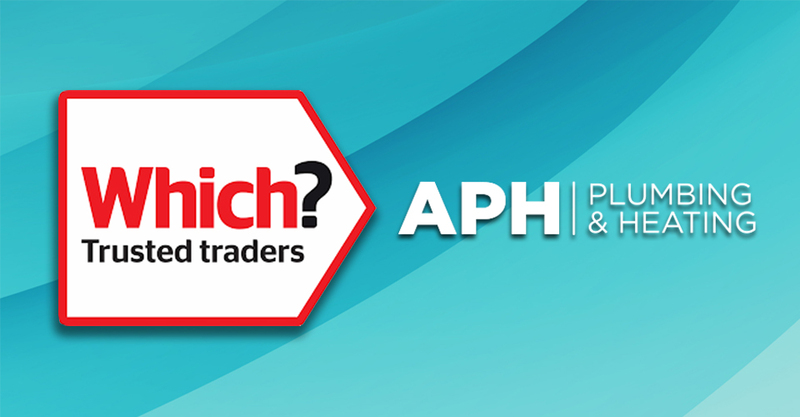 APH Plumbing & Heating has now been operating with the Which? endorsement for several months now and shows our commitment to producing high standards in workmanship and customer satisfaction. Boiler servicing, is it worth it?